Have you ever had something that converged so well, you couldn't believe it? That's today's post! A couple of friends, and myself, meet periodically for coffee. We haven't had a chance to get together for a couple of months, and are finally getting together this morning. I wanted to give the friend who's hosts these coffee chats, a small treat - chocolate is always the best treat in my mind - and had that in the back of my mind as I was out shopping. I also knew I wanted to use the NEW Coffee Helps set, as it was so appropriate! 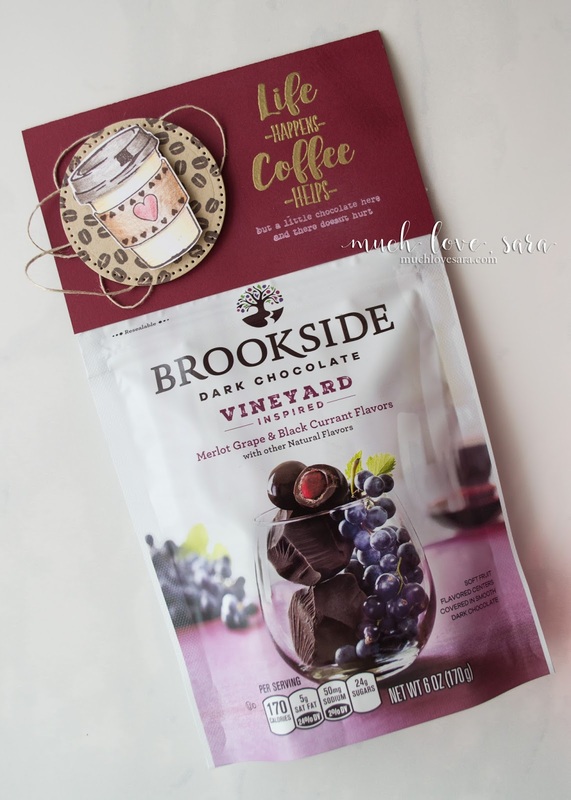 When I stumbled across these chocolates, I knew I found the perfect little gift (my friend is a wine enthusiast, and I would never even dare try to buy her actual wine!). Before I began, I figured out my sentiment layout. That would help to dictate the height of the bag topper I made for the chocolates. 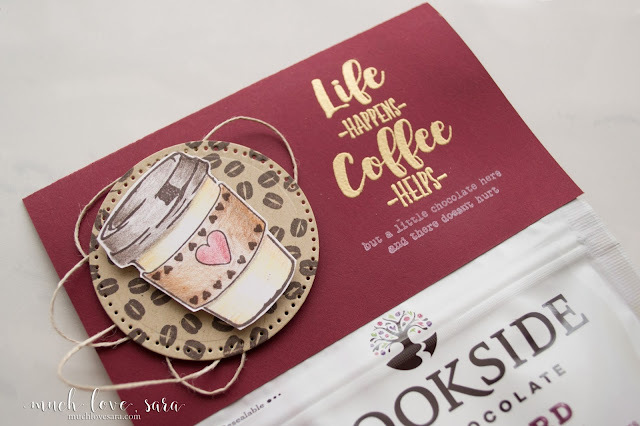 I combined one of the Coffee Helps sentiments, with a sentiment from Text Happy (I masked off the top of the sentiment to get just the wording I wanted). 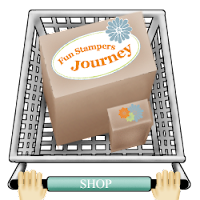 Once the sentiments were stamped, heat embossed, and stamped, I die cut a circle of Oatmeal Cookie Card Stock, and stamped it with the coffee beans. I stamped my coffee cup onto a piece of Whip Cream Card Stock, and colored it in with the Color Burst Pencils. A little White Liner behind the spot I planned on putting the die cut circle holds the twine in place, and the circle, and the cup, are both mounted on foam squares. The whole topper is adhered to the very top of the bag with White Liner. I love these kinds of chocolate bags, because I can adhere the topper above the tear line, and then the recipient can enjoy the chocolate, and keep the topper intact, if they wish to save it. Thanks Dawn! It was fun chat.